An autopsy has been carried out for the world's largest crocodile ever caught alive. The saltwater crocodile, Lolong, had underwent a controversial death after speculations that the cause of the death was maltreatment. Lolong, which was caught last year, 2011, was measured 6.17 metres (20.24 feet) had made it to the guiness world record and had put the Philippines on stage before the world. His death last Sunday however made the Australian crocs to regain the title as the world's biggest crocodile alive, the aussie crocs was named "Cassius". On the autopsy, Philippine veterenarians who conducted the inspection had ruled out initial rumors that Lolong had eaten plastic and nylon cord, saying that its intestine is free from foreign objects. 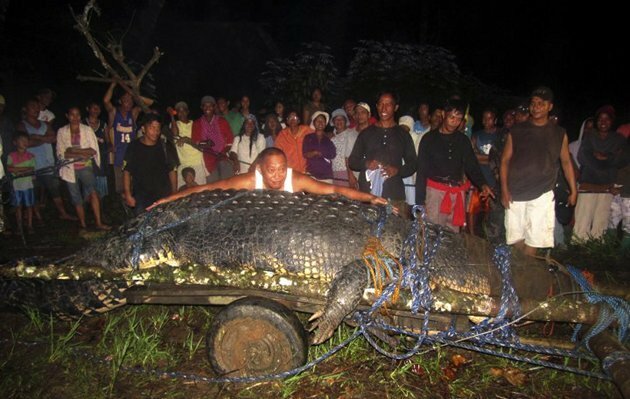 Lolong was found last September 2011 in the town of Bunawan, Agusan del Sur. The official result for the autopsy is still to be release. Everyone are all waiting to know the cause of Lolong's myterious death.